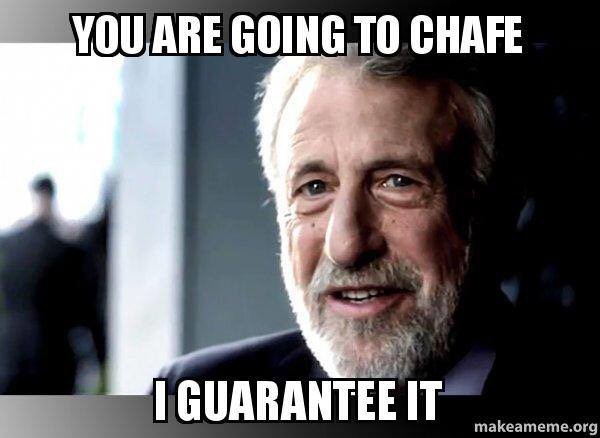 I have seen so many posts over the years giving advice to people who want to run a marathon. Some of it good, some of it wouldn’t be the advice I would give. 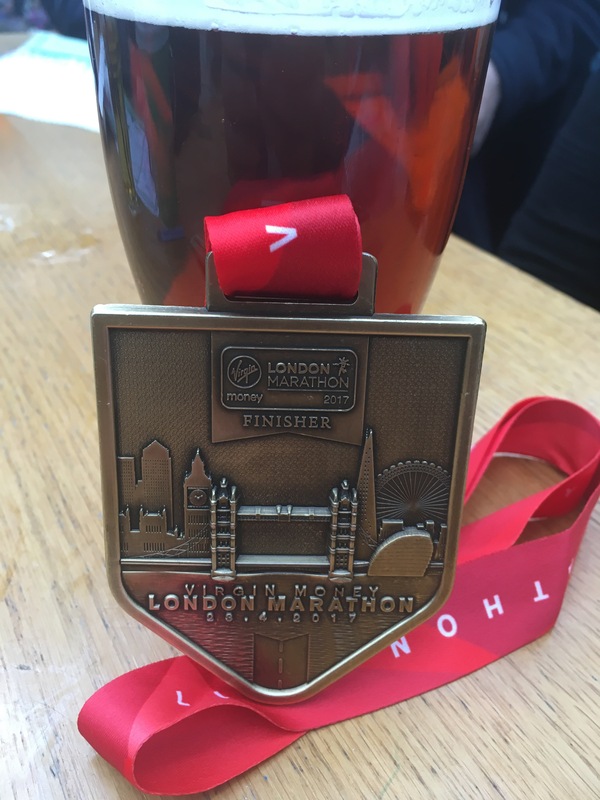 So, I’ve decided to put some of my thoughts together, in the hope that it will help someone out there when considering running a marathon. What qualifies me to give advice? Absolutely nothing. Please don’t take this as an exact science, this is just the views of someone who runs a lot of events. There are many out there more qualified than I am, but alas the web is full of advice from people who are not. The thing I don’t like about all the advice is that I’m a strong believer that there is no right way of doing it. I have made my share of mistakes, I still do, so I know what works for me. But there is no right way. So don’t let anyone tell you that you are doing it wrong. First thing you should know when thinking about whether you can run a marathon, the answer is yes. YES, you CAN run a marathon. Don’t let anyone tell you otherwise, and please don’t doubt yourself. I’m not saying it will be easy, but you can do it. Remember, whether you think you can, or think you can’t, you are probably right ! So the first thing you have to work on is that positive mental attitude, know you can and you have passed the first hurdle. Keep training fun. There are many programmes out there that you can use, and these will work wonderfully for most of you. 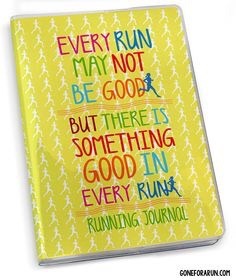 But it will become harder if you aren’t enjoying yourself, if training becomes a chore. So make sure you mix up your training, keep it fun, and don’t worry if you don’t stick rigidly to the plan. There are many opinions out there about the long run, how hard and how fast you should run. All training is good training, and there are many ways to do it, so don’t let anyone tell you otherwise. Whether it’s through long runs or events you should try and get some miles in your legs. I do far less than I should owing to experience, but if you haven’t done a marathon or aren’t doing lots of events, you should certainly be trying to get to 16-22 miles as a goal long run (opinion of how much you should do is varied). What I will say is build up the mileage gradually. If you aren’t used to the miles then a rapid increase is a good way to get injured. Build up by 10% or 2 miles a long run. You will feel like you can do more, you will want to push it, but believe me this will likely lead to injury. Your long run should also be less intense. Early on you will also feel like you can go faster. But leave the speed work for other days. Your long run is about gradually building the miles. Some advocate running at around marathon pace. 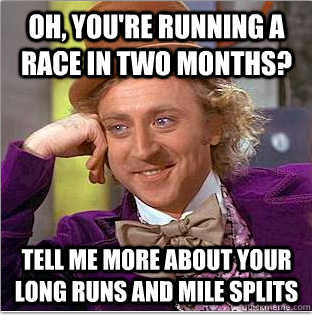 Personally I mostly run my long runs slower, I don’t tend to run at intensity, you really don’t need to. I would say pick a day to run some or all of your run at your desired marathon pace so that you get comfortable with the pace. Vary the mid week runs. Again I don’t practice what I preach. At the moment I fit in about 3 4.5 mile runs and do it at a casual pace I could maintain for marathon. I’m doing this because I’m a little lazy and I have lots of events, I’m not going for a pb and I’m just maintaining and doing training for fun. If I was training for my first or to break a pb I would run the midweek runs at a higher intensity. You could pick a 5k distance and run it as hard as you can; do intervals (you pick the distance) where you run at the highest intensity you can for the distance and recover. I’m not going to tell you how fast this should be, but log your runs and always look to make improvements. Hill sessions are also good, especially if you know the course will have hills. It is great to have a plan, and many find comfort from sticking to it. You can track progress and this is a great way to reach your goal. But it’s ok if you don’t stick to it, don’t worry, it’s not the end of the world. It’s ok to have an easier session, and this may be a few miles at marathon pace. Get comfortable with this pace, get to know it, but you don t have to be training at it all the time. 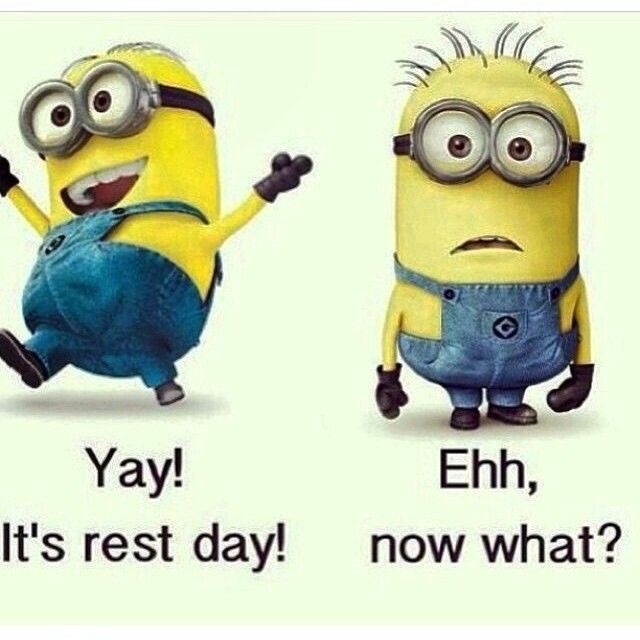 Remember to enjoy your training and have fun. Know the course, is it going to be hilly, where will the water be, will it be in cups or bottles? 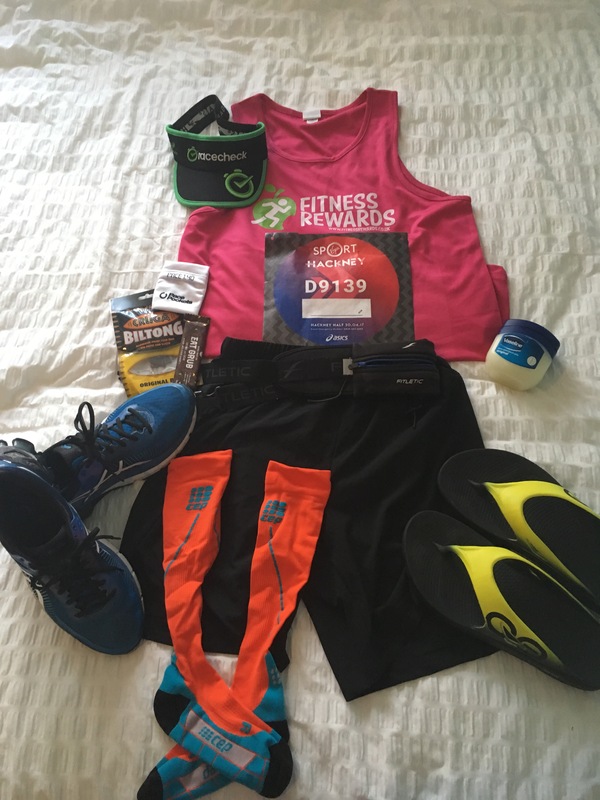 The better prepared you are the better it will be on race day. Take away any anxiety before the day. Don’t worry if you miss a training session, if you miss a few, just re-evaluate your target times etc accordingly. No matter what, you can do it, so start with a premise of you can finish, then have your target time, this should be a sliding scale. Be realistic about how your training has been and what you will achieve… by doing this your are less likely to be disappointed and less likely to get injured. Your nutrition is important not just on the day but in training as well. I’ve heard so many people talk about the right amount to take, and I’m sure there is an optimum amount, but I don’t think it matters.Do what is right for you. Please don’t try new things on the day. 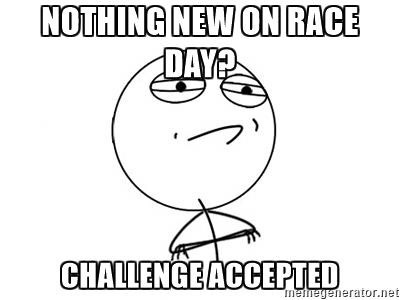 Trying new things on race day can have a detrimental effect. If you practice in training you can work out what works best for you and when to take it. I find if you feel like you need a gel or something then it is probably too late. But you can work this out in training. I’m not going to go through when to take a gel or which one. Experiment yourself… but remember not on race day. Rest is a crucial part of training. You may be tempted to run every day, and at high intensity, but your body will appreciate some rest. 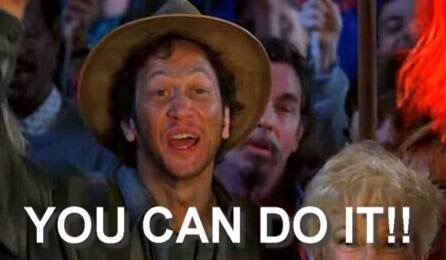 Support is a key ingredient to running a marathon. You will be training for this and talking about it a lot, so it will be much better if your family and friends are part of the experience. Just remember that they may not be as in to it as you, so keep them on side. 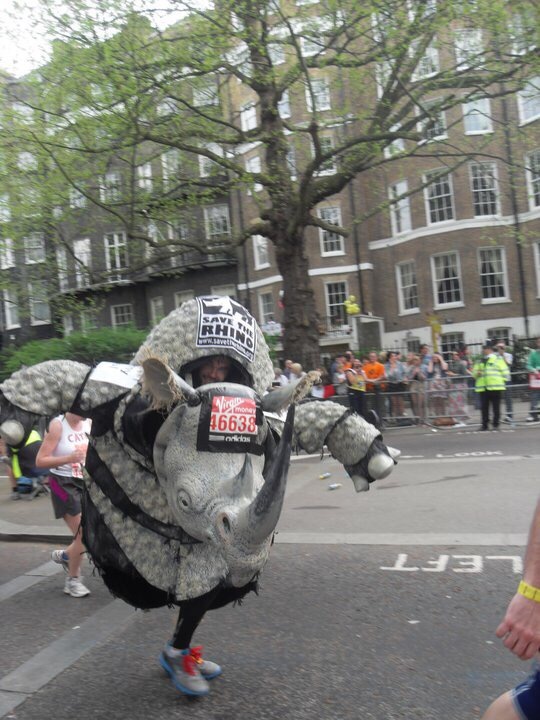 During race day you will experience such support from the crowds. Don’t underestimate this support, it has kept me going on many occasions. I always love having my family at the race to see me finish, and it’s great to get encouragement on route. 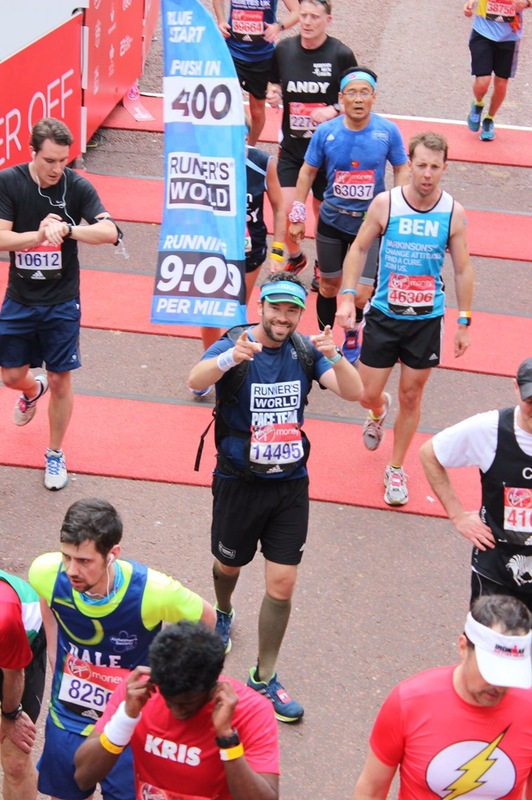 The support makes running a marathon feel so much more bearable. Pace – getting your pace right is crucial. Start too fast and you will tire and hit that dreaded wall. Go too slow and you won’t reach full potential. It is hard running a marathon, and running an even pace throughout is the best way to finish feeling good (as far as possible). You should determine your pace based on training, but always have a target pace in mind. 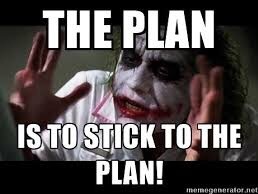 Back to the planning section. One of the things I enjoy most about running is being a pacer. On race day you can stick with a pace group to help you keep a consistent pace. Practice race conditions – if you are thinking about running a marathon there is a good chance you have done other races. If you haven’t don’t worry, but I would strongly suggest entering a half. This is not only good training but gets your body used to race day. The event, atmosphere and all the details you won’t necessarily think of. You can practice your pace, nutrition, test out your kit… it’s the little things you will forget or not realise if you haven’t done it before. The taper – prepare to be grumpy. By this time, a few weeks before race day, you will want to be reducing your miles and intensity to ensure you are fresh for race day. Now I’m not the best example of this as between races I don’t run enough to notice a taper. But if you have been training hard you will find the sudden drop in training hard. Don’t worry about it, it’s normal and part of the plan. 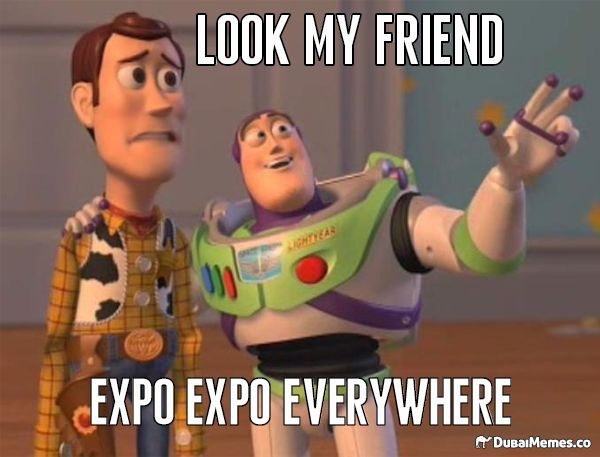 Expo – these are great and depending on the size you could get some great deals. Go and enjoy the experience. If there is one get there early, the closer to race day it is the busier it will get. Avoid the crowds and remember you should be resting. Be prepared – lay out your kit the night before. Don’t leave anything to chance, make sure you have everything you need. Get up early – eat, drink and pooo yes that’s right. If you aren’t used to events there is one thing you need to be used to, race day nerves. This effects people differently but it’s common to, well you know, need the toilet more than normal. So it’s wise to give yourself time at home before leaving to get the first one out of the way. I would also suggest practicing what you will have and timings, another reason why I suggest a practice race. 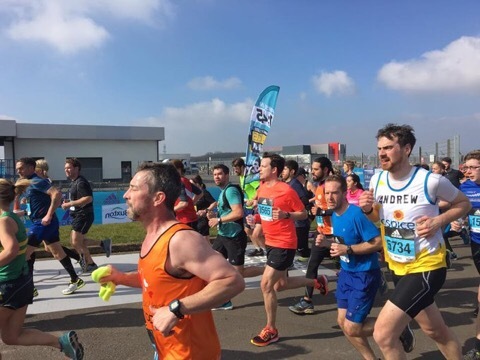 Get to the event village early –Again as above many runners will experience runners trots, the queues can get big so get it out of the way early. But also, look around. At many events I see huge queues for toilets and you turn the corner and there are empty toilets. Drop your bag and think about how you will keep warm, some take a bin bag to wrap around them or space blanket, others use old jumpers they discard. Enjoy the village and by being there early you can try to overcome any anxiety you have by being prepared. You don’t want to be rushing. Think about your kit and lubricant as you will regret it if you don’t. Don’t set off to fast – The key to a good race is keeping a steady pace you are comfortable with. 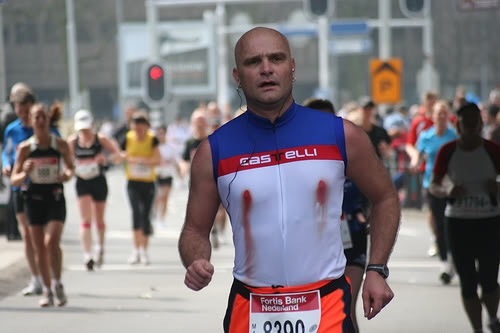 For a first marathon I would suggest being more cautious. Once you have done one the general rule for pace is asking a question: can I sustain this pace until the end, if no slow down, if yes then can you speed up, if maybe then it sounds about right. You need to be able to sustain until the end but often you are capable of than you think. At the start of a race it is easy to get carried away, the excitement, everyone around you, before you know it you have a 5k pb with another 32k to go. This will end in disaster and a slow painful final stage. I’m talking from experience, starting too fast will result in a much harder race and one you probably won’t enjoy as much. At the start of a marathon you will feel like you can go faster, you will feel like you are going slow, but remember this is not a sprint it’s a marathon. If you get the pace right you will find all those people running away will slow and you will overtake most of them and more in the final stages. This is why you have practiced your pace, you know what you can do. Be prepared to adapt. How you are feeling, the weather everything about race day can affect your performance. It doesn’t matter if your training has been perfect, sometimes it will just be harder on the day. I often have people ask how fast they should go, and they answer is always “how fast have you trained for” you must have a target time in mind. An achievable target. I get some saying they will start slower and speed up, or they will run faster and know they will slow later. If you get the pace right you should be able to sustain until the end with a possible strong finish. If you have trained for x time why start slower or faster? It just doesn’t make sense. Is it ok to walk? Of course it is. For me now if I walk it means something has gone seriously wrong (but it still happens). If you are newer to running then it’s even more likely you will walk. For some it’s part of the strategy, walking for a minute every 5-10 mins. Whatever you do try doing what you practice in training. Walking because its strategy is good, if you are walking at end because you are tired means you will be slowing right down. That is fine, but it will be hard. Running a marathon isn’t easy. You will feel pain, you might get cramps. Be prepared to say never again, your first is likely to hurt. But then you will recover. Rest, recovery and time make everything feel better and before long you will be looking for your next. Running a marathon can get emotional but it’s worth it, you will have no regrets. Go do it, have fun and look forward to that wonderful medal and feeling you get as you cross the finish. These are just a few of my thoughts, but I’m interested in hearing yours. 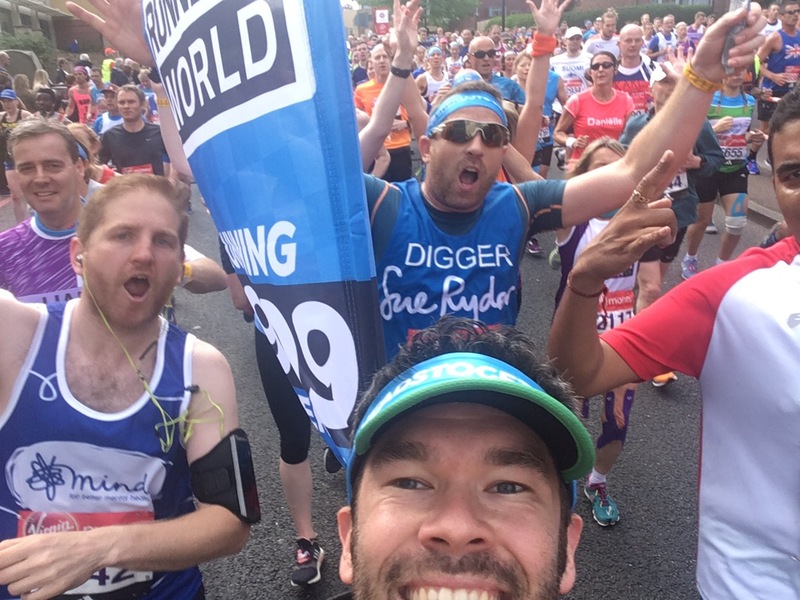 Please add comments to let me know if you agree, or help others out by adding further tips about training for and running a marathon. •Remember to take along essentials such as Body glide/Vaseline, safety pins, plasters, Sun cream, hat or visor, shades, paracetamol & spare clothing in case the weather turns nasty. •I like to run with electrolyte tablets so I can pop one in a bottle of water to help keep your salt level ok which has definitely helped with cramp issues I started to get. It also allows me to add my race number should I want to rather than pinning to my race vest. I can add 2 bottles that I make up with a electrolyte drink if I feel I may need a boost. I take mine at 4.5/9/13.1 half way Caffeine/17.5 & 22 caffeine again and that works with me. I take these on all my long runs over 12 miles to get my body used to accepting them come race day. I used pace bands before I discovered the excellent new pace pockets from Xempo to help me keep an eye on my splits. I always take a protein recovery shake to be taken within 20/30 mins after ceasing exercise and I’ve found this helps enormously with my rehydration & refuelling before travelling home. What a great article. Some really good advice. My favourite running quote is “Run when you can, walk if you have to, crawl if you must, just never give up”. 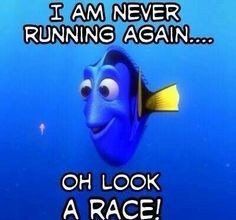 This sums up the struggle that runners face. I am sure not many get to the crawl stage but the desire to keep going is intense. In a moment of weakness I have entered the ballot for the London Marathon. If I get selected I will certainly be looking back at this post. What a brilliant blog, thank you for sharing. I start training for my first marathon in four weeks. I’m doing Richmond on 17th September. I’ve run 5 half marathons over the last 7 years, my first was when I was pregnant and didn’t realise! I’m aiming for a sub 5 hour marathon. I recovered from PF last year. I’m doing the marathon for me, very selfish but a target before I’m 40 next December. I have a plan, I’m mentally strong and I know I can do it but there may be tears along the way and definitely at the end when I get my medal. What about post race blues?? That’s great to hear all the best and I hope this blog helps. Thnx. The “adrenaline surge” was so high, that alcohol did not work afterwards (I tried to have few shots, beer and catch some sleep afternoon at home. Nope. XD). 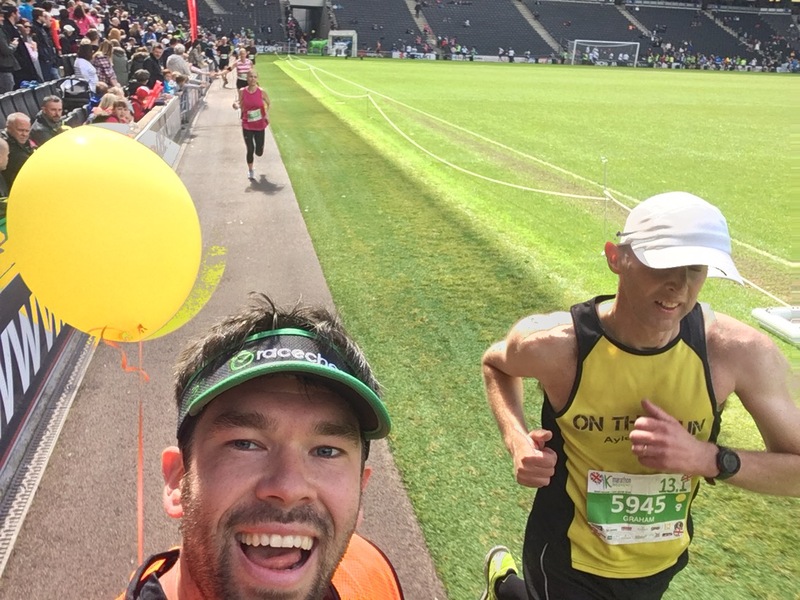 Another advise (works on every race): try to find Your own pacemakers – people You see around frequently after about 20% of the distance – they usually run Your final pace and it is alway better to have a companion, even “a virtual one”. In my case it was a girl pushing 5:04/km that I lost after 35. I dropped the tempo, she pushed it 5:03 on 41. and 5:02 for the final. But 30km (from 5. to 35.) were just granted. Actually there were three of us (+ guy in Berlin Marathon shirt), about 25-30km we were running together (not a word but everything understood) like a “cycling echelon”, passing everybody, changing the lead, beautiful work. Of course, if the “paceman of Your choice” is getting slow – find another one. And re-find him/her when You fall back (which will happen from time to time XD). That’s the tactics, but it must not overcome the general strategy (tempo estimated by training and another races & feeding and drinking schedule). As Joe Friel states: an endurance athlete may perform over 110% of her/his capability, but it is going to be paid. In a hard way. (my HRavg at the M was about 90% of HRmax; I usually race 10km at HRmax and 5km about 105% (touching 20′)) . Good Luck! 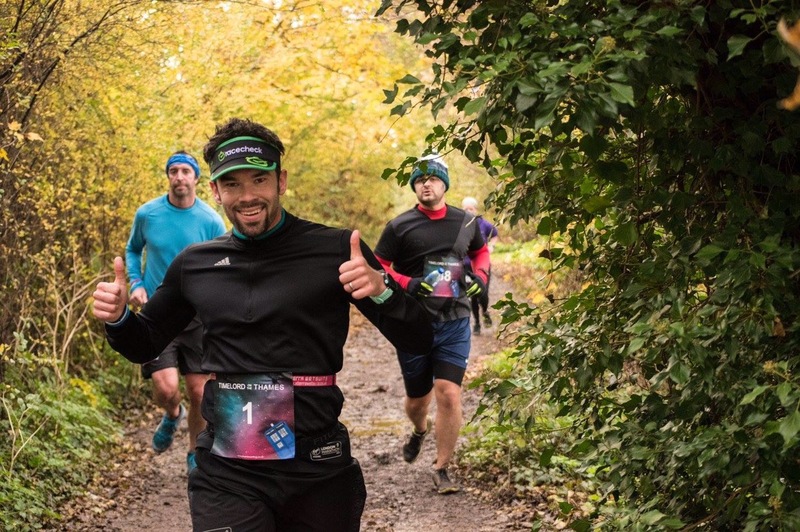 Brilliant blog, I’m doing my first marathon in a few weeks, I think I’ve ticked off most of the boxes, one of the best blogs I’ve read. That’s great to hear Paul thank you for your kind words. Which marathon are you attempting? I’m pacing sub 4 at Liverpool. Whichever you do I wish you all the best, trust your training mate. Hopefully this will help you and others on the journey. Great blog Paul. Very useful advice. You hit the nail on the head. Knowing your training pace and race pace is key. I haven’t run a marathon since London in 2000 and I’ve finally entered Birmingham in October this year. In London I ran 4.28 but was injured throughout my training so I really want a sub 4 hr time in Birmingham. I’ve just run two halves 1.56 and Hackney 1.53 so I know I can get a Sub 4 if I don’t get injured! That’s my main concern and it’s making me anxious. My goal is to get to the start line with no major injury setbacks, then I know I can do sub 4. That’s why I’ve started training early. if it’s okay might need some advice from you about my training plan. 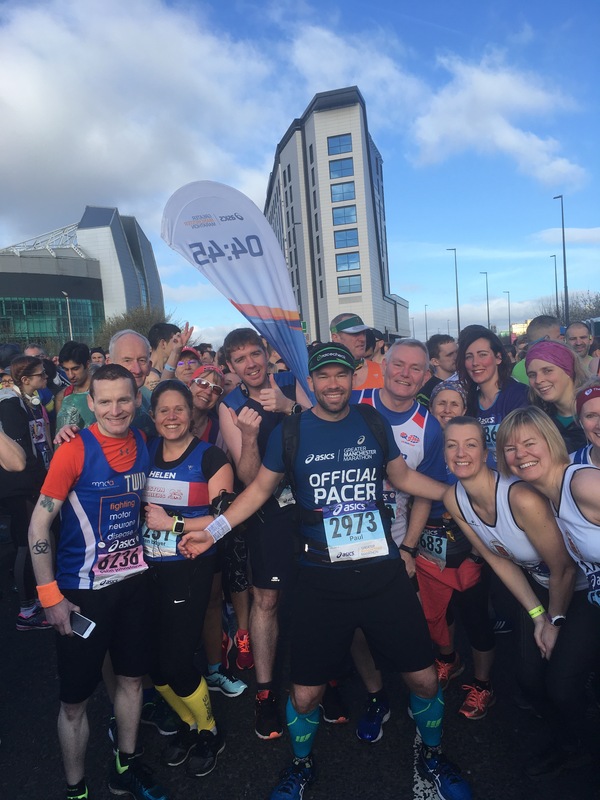 Are you pacing in Birmingham? Great blog, Paul. Sound advice from a seasoned marathoner & running legend. My own personal build up from couch to marathon was ridiculously fast and certainly not textbook. Just 94 days between my first ever race (Leeds10k) & my first marathon, fuelled by enthusiasm & brainless naivety. I paid £400 out of my own pocket for a charity place & threw myself into the training. I didn’t know about running Twitter accounts such as UKRunChat so everything was done without ‘expert’ advice. I broke every rule in the book in all honesty. 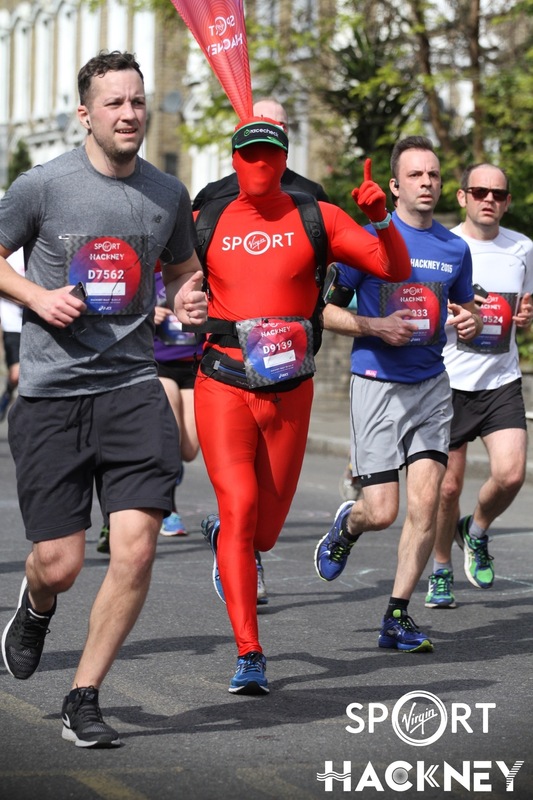 My marathon ‘plan’ was simple but in hindsight very effective. I knew a marathon would take me 4.5hours so rather than build up mileage, I rapidly built up running time on my feet. I discovered I could run at a slow but consistent pace and build up miles much easier than I could ever have imagined. Everything was done in a rush. 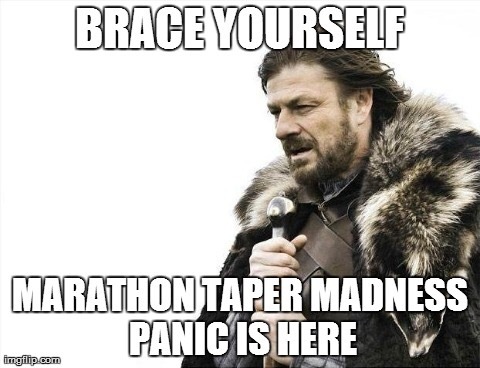 Somebody mentioned tapering- I didn’t even know what that word meant. Did final run of 19 miles just 8 days before the marathon. As it happens, Ongot through the distance and have gone on to do many more. 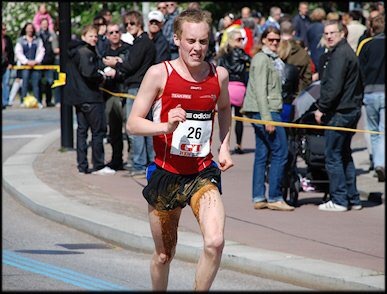 To run a marathon you need to be 100% committed & also need a bit of luck. If you’re not then forget it. 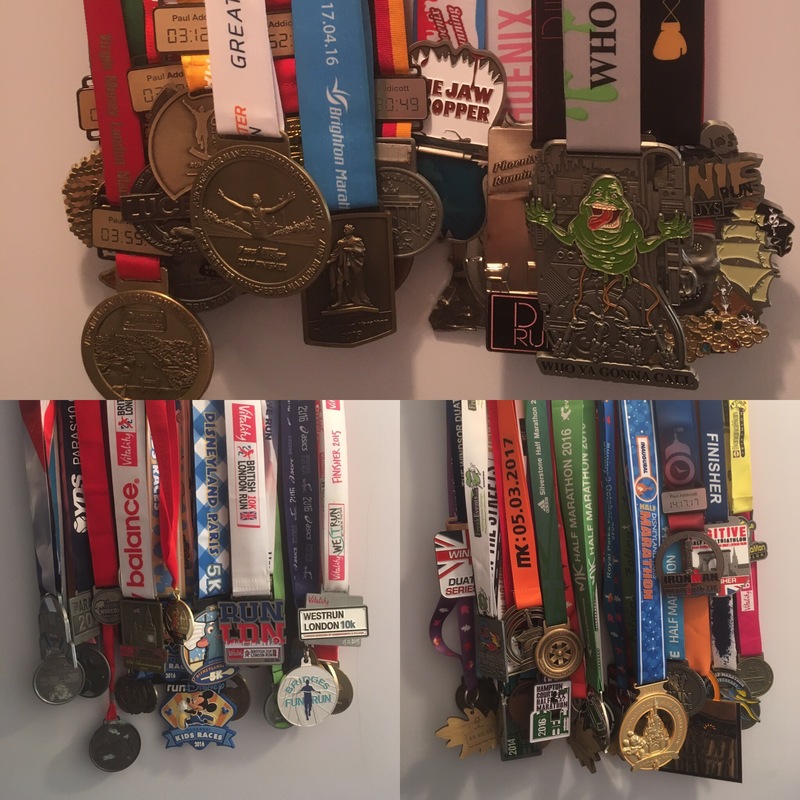 I’ve now done 13 marathons & believe me, they don’t get easier. I’m not saying everybody should follow my lead- quite the opposite in fact. These are my own personal experiences. I honestly think most Half Marathon runners can step up to full marathon if they’re committed. Hi Paul. I really enjoyed this blog. I’m just embarking on my marathon journey (Venice in October will be my first) and I’ve found this has confirmed certain aspects of my training plan. All very useful and nice to read someone else’s experiences without thinking I can’t do that. People have told me that my training is too fast (I usually do half marathons) but like you say, it’s my training and it works for me. I’ve been working on PBs and pace, so that training will be different. Time to change down now for some slower longer runs. Having said that, my faster training and races have helped my fitness and muscle building no end, which all stands me in good stead for Mara training. It’s ok to be nervous Deb, that’s natural. You have done everything you can now so start easing off and don’t panic train now. 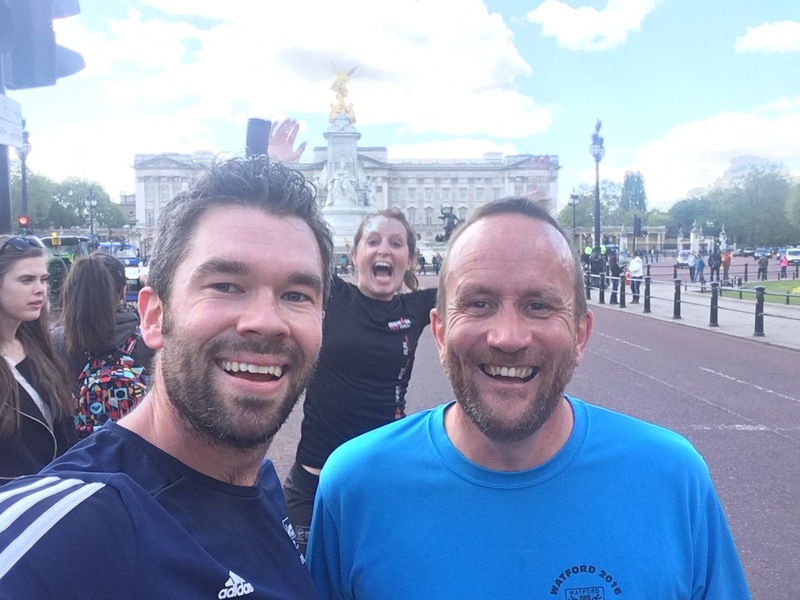 Thanks for all of this advice Paul, I’ve done 4 marathons now and reading through your excellent post I have now picked up some tips that I can use next time, did I say next time….yikes! Anyway only got Chester half this weekend which I’m adjusting my time due to being ill this week with a cold/cough so here’s hoping for the best! Thanks Pail – a lot of good common sense advice here. Thank you for your feedback. Yes I aim to cut out all the crap and make things easy to follow. I used to strength train a lot but to be honest I haven’t for years. I want to get my strength and speed back this year myself. Fuelling and pace will be key on the day. I’m pacing sub4 at Manchester so come and say hi. Hi Paul, I discovered your blog via a google search and have been reading lots of your entries, you’re such a good writer and as mentioned above by someone else, you don’t use the confusing running jargon which is very off-putting for newbies like me! Hi thank you so much for your lovely comments I’m so pleased you found my blog and that you like it. Give me a follow do you can see my posts for the year. Awesome Tania keep up the good work, you will smash it. Have fun on the journey. Which marathon are you doing? Paul won’t know this but he helped me to a sub four in London 2017, the key, apart from my training !!! Was the even pace I was allowed to follow with Paul, you won’t believe me now but if you have logged the miles and done the right taper and if you follow a pacer at your goal target the even splits they do make you strong late in the race when you most need it, so I guess my advice is train well and if the race has pacers … consider following one in your pace range. It will help imo. If the pacer is paul , finish one step ahead and you hit your goal like I did, I won’t forget it. Thank you so much, it’s always great to hear from people I have shared the journey with. Great little read there Paul. Hope you can help me out a little. I’m doing Manchester next weekend and then London two weeks later(late charity place entrant). Got my pb at Manchester last year of 3:51 but carrying a bit of weight this time so more in sub 4:30 territory. I’m a little concerned that doing two such large events close together could be a bit grim. Have you any advice on how I should approach them and what training I should do inbetween? Hi Craig thanks for the feedback. Hope you have a great race, I will be doing both. I would suggest tackling them as one. So which is your one to go harder? If London then run more reserved at Manchester. Or go for it at Manchester and structure expectations for London. In truth it’s possible to smash both just depends how your body responds. In between nothing long as you need to recover. Just keep your legs ticking over with active recovery. No worries hope it helps. What Marathon will you do? 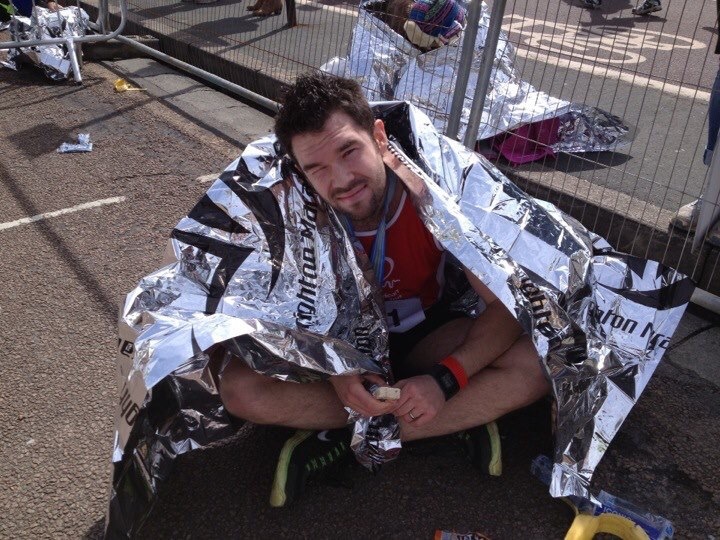 A nice little blog sharing the basics a first time marathon runner needs, without over complicating things. As you start training runners will learn and read the more in depth information. I like this nice and easily digestiable. Hi Paul, a very enjoyable read. Have you (or your readers) heard of my new fitness mobile app Music Momentum? The target speed can be adjusted within the session at any point, and you can also pause the session for when you would like to take a break from using the apps unique features. I would like to offer you (and some of your readers) the opportunity to try Music Momentum out completely free of charge. If anyone is interested to do this, please email laxweirproductions@gmail.com with the subject heading: Music Momentum Promotion Request, and please be sure to state your full name and if you use a iOS or Android device. This free promotional offer is limited to a certain amount of people, but please be sure to share with fellow runners. Thank you and look forward to hearing from you. All valid points. I think that many people beat themselves up over maybe missing their speedwork targets and other minuscule details to the point where they wreck their mental game by saying, “I can’t hit a 6:45 at the track no matter how hard I try” when in reality, during the marathon you’ll never have to run any faster than maybe an 8 minute mile to reach your goal. I think that the marathon is absolutely about 90% mental, preparedness and confidence and another 10% actual ability and talent. I’ve found you can’t go too far either way in your thinking. You can’t beat yourself up over small details and drag yourself down doubting things. You also can’t just assume since you’re putting the work in, that you’re going to reach your goal without sticking closely to the plan. 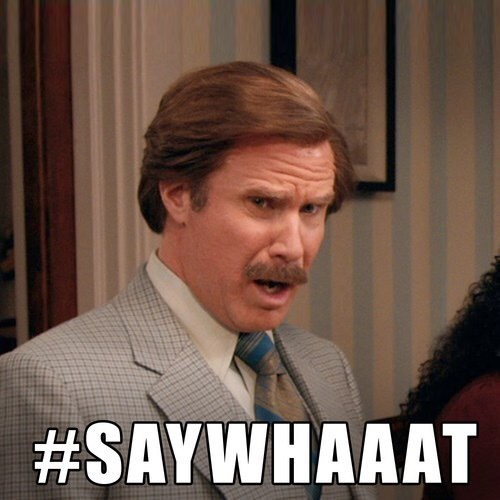 You can’t train for a 4:30 and then end up with a sub 4 as your goal on race day. You’ll kill yourself. Okay, done now. Cheers!